No two events are ever the same and each must be planned with meticulous detail. 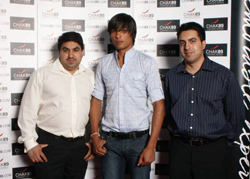 We at CHAK89 are experts in the organisation, management and execution of events and you can be assured our creative and highly experienced events management team will fulfill all your requirements. Qualified to handle events of all sizes, we have successfully staged hundreds of functions from family weddings to celebrity performances to political party conferences. We are able to organise a wide range of services that may be required by our clients including the likes of security, parking, transportation and much more. We aim to exceed your expectations and take great pride in making your special day a day to remember. 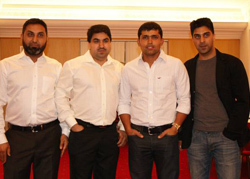 The Pakistani Cricket Team were at CHAK89 before the start of the 2nd Test at Leeds. The food, service and ambience has obviously fired them up and helped bowl Australia for 88. 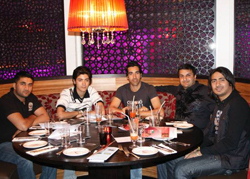 Seen Here is pacer Umar Gul with Frank the director and the Raga Boyz.